Beirut (AFP) - The Syrian government has abandoned Idlib to concentrate on regions deemed vital for its survival, allowing Al-Qaeda to seize the province's last regime-held city, a security source and monitor said Friday. 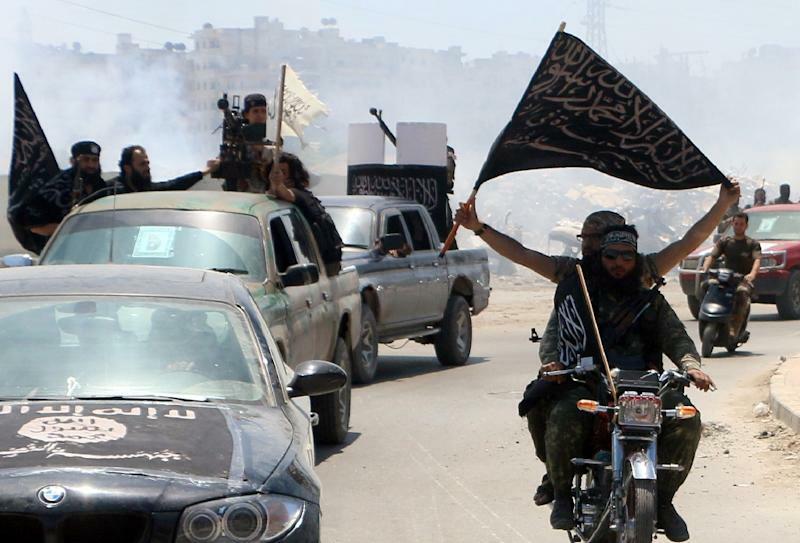 Rebels now control the vast majority of Idlib province after Al-Nusra Front -- Al-Qaeda's Syrian affiliate -- and its allies overran Ariha and surrounding villages on Thursday. It was the latest blow to loyalist forces who have been battling myriad rebel groups, following the fall of the ancient city of Palmyra to the Islamic State (IS) jihadist group last week. "The lightning offensive ended with a heavy pullout of regime forces and their allies Hezbollah from the western side of the city," said Rami Abdel Rahman, head of the Syrian Observatory for Human Rights monitoring group. "We can't even say there were real clashes with the government in Ariha." Al-Nusra's allies in the so-called Army of Conquest also seized villages around Ariha, even as regime warplanes bombarded the city. Abdel Rahman said 13 regime loyalists were executed by rebels inside Ariha, and another 18 were killed in fighting on its outskirts. The rebel alliance has scored a string of victories in Idlib, including the provincial capital, the key town of Jisr al-Shughur and a massive military base. Government forces had pulled back to Ariha, which Abdel Rahman said was heavily defended by fighters from Iran and the Lebanese Shiite movement Hezbollah. But the city fell to the Al-Nusra-led alliance "in a few hours", he said. President Bashar al-Assad's regime still holds Abu Duhur military airport and a sprinkling of villages and military posts in Idlib province bordering Turkey. "For the regime, the vital territory to be protected is Damascus, Homs, Hama and the coast. Idlib is no longer (vital), which explains the rapid retreat from Ariha," a security source told AFP. 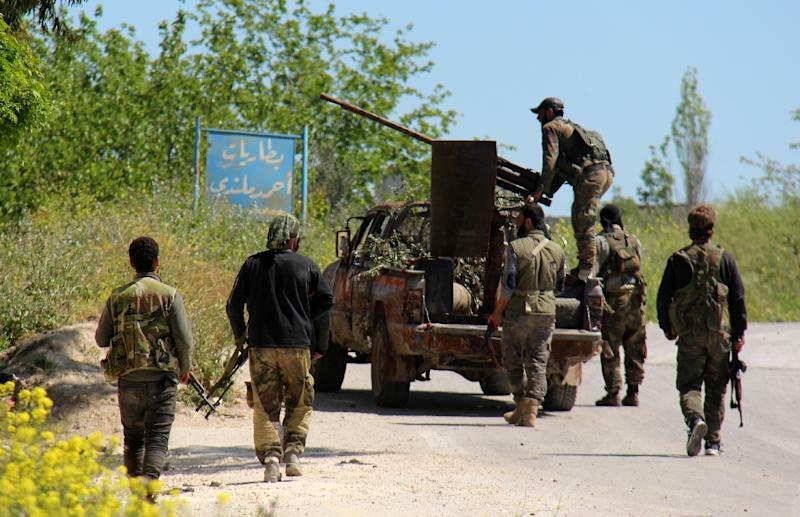 And Waddah Abed Rabbo, head of Al-Watan daily which is close to the government, said the regime's priority in Idlib was to protect main routes to its coastal bastion to the west and in central Syria. The army's retreat from Ariha "is part of the regime's redefining of its lines of defence for major Syrian cities," Abed Rabbo told AFP. 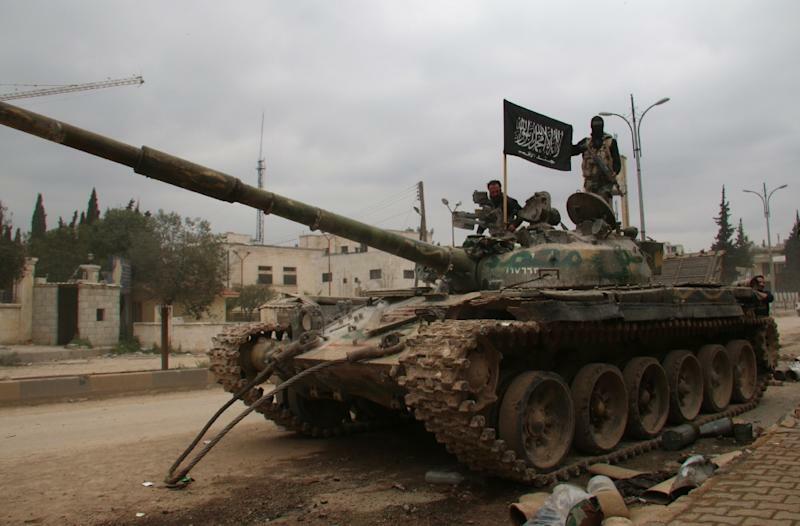 Also explaining its retreat in Idlib, Abdel Rahman said the regime was hampered by a serious shortage of fighters. "Even with the support of Iran and Hezbollah, it cannot make up the soldiers," he said. Elsewhere in Syria's multi-front war on Friday, 24 IS jihadists were killed when a US-led coalition air strike hit a minibus near Al-Ward oilfield in Deir Ezzor province of eastern Syria, the Observatory said. In Iraq, government and allied paramilitary forces sought to sever IS supply lines in the western province of Anbar. The jihadists seized Ramadi, the provincial capital, on May 17. The UN estimates that 85,000 people have since fled the city. Clashes with IS in nearby Salaheddin killed nine security forces and Hashed al-Shaabi, an umbrella term for mostly Shiite militia and volunteers, an army lieutenant colonel and a medical source said. Iraqi officials said at least nine people were killed and dozens wounded when bombs ripped through two upscale Baghdad hotels in attacks claimed by IS. The explosions at the Ishtar and Babylon hotels came just before midnight (2100 GMT) on Thursday. And for the second time in a week, an IS suicide bomber Friday targeted a Shiite mosque in neighbouring Saudi Arabia, killing three people. In New York, Interpol chief Juergen Stock told the UN Security Council that foreign fighters bent on joining jihadists in Syria, Iraq and North Africa are changing tactics to avoid detection. "Intelligence is crossing borders but at a much slower pace than foreign terrorist fighters are," he said. Stock said measures to stop foreign fighters are "already producing changes in tactics" by recruiters who are setting up "broken travel" to make tracking more difficult. More "facilitation networks" are springing up to help would-be jihadists reach their destinations, he said.